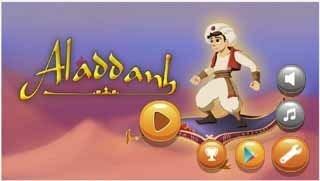 Free download Super Aladdin Adventure for Android with APK file. Download Super Aladdin Adventure latest version from the direct link. Mutafa Evil witch has been take Jasmine princess from her castle. The King and the Queen are very sad. They said that please help them rescue Jasmine princess and who ever he is,He can bring princess to home and marry her. Aladdin is one of those who want to marry princess. After he see the notification from royal. He immediately begin he journey to save his love, princess Jasmine. There are many traps and thorns on his ways, Is he able to overcome danger and kill the evil witch Mutafa to save the Princess? That depends on your own ability.